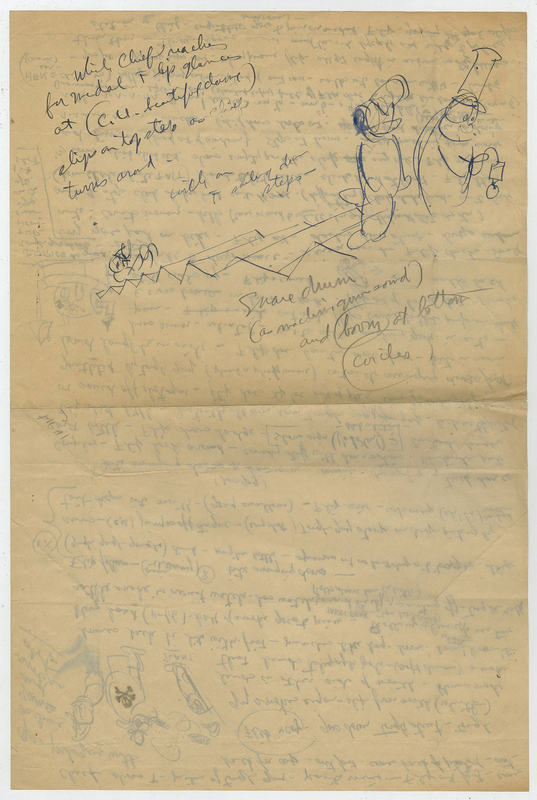 This is an original page of Grim Natwick's studio notes created during his time working on the Columbia Studios production of Krazy Kat (1929-1939). 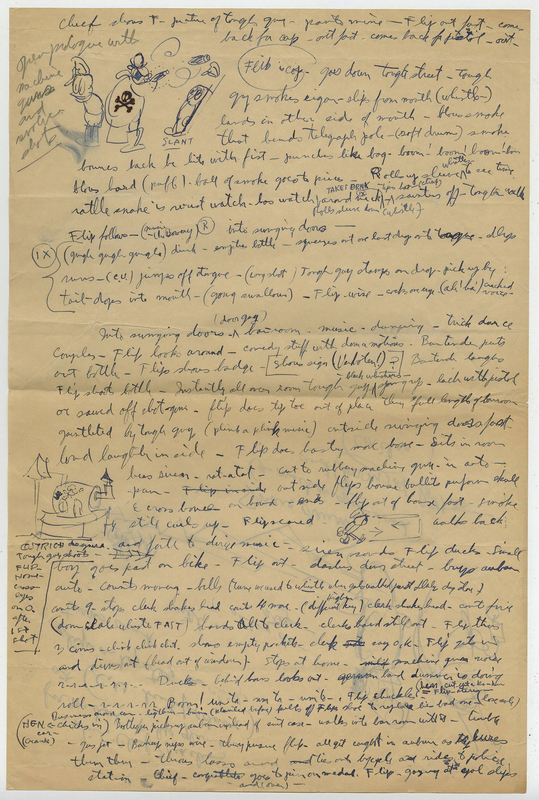 These copious notes feature a variety of rough concepts and ideas that appear to be rough brainstorming and story concepts, and were created at the studio during his time working on the series. The overall measurements of the piece are 15" x 10" and features notes and a couple rough sketches on both sides of the paper as seen in the images. The piece is in good condition with some wear due to age.